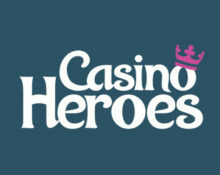 Casino Heroes – Winter Games Weekend! Take part in a 3-day cash race on Valley of the Gods, Vikings Go Wild, Golden Fish Tank. Score the highest coin win on a single spin across all featured games, irrespective of the bet size, to place in the TOP100 for a share of €2,500 in cash. Prizes range from €15 – €500, credited with no wagering requirements within 24 hours after the tournament has ended. Additionally, players in the TOP100 will be invited to a raffle where another €500 in cash will be randomly handed out. Take part in a 1-day long quest to complete three missions on selected Yggdrasil slots from 00:01 – 23:59 CET on 8th January 2018. 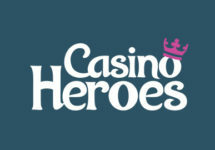 Complete them in the fewest possible spins to race into the TO50 for a guaranteed cash prize. Minimum bet is €0.10 or currency equivalent. Only cash bets are eligible, play with bonus money will not be counted. Terms and conditions apply.